The water from this spring was excellent. The Mount Cedros spring is the town water supply. 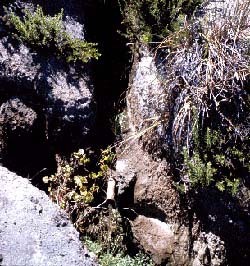 Several springs like this one are fed into cisterns. When the cisterns are full, their contents are siphoned over Mount Cedros to the town water tanks.